There were 29 attacks of illegal armed formations on ATO positions. A Ukrainian serviceman was wounded in Maryinka vicinity. The Special Monitoring Mission of the OSCE published a report on the attack on the occupied village of Olenivka where civilians where killed. Having examined the craters, the SMM made a conclusion that the shelling was conducted from west-north-west and, most probably, 122 mm artillery was used. 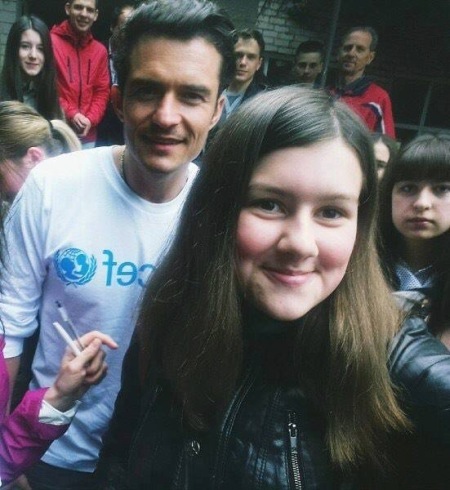 Orlando Bloom, Hollywood actor and UNICEF Goodwill Ambassador arrived in the Donbas on April 27. He visited Slovyansk, Svyatohirsk and Kramatorsk. In Slovyansk the actor met with pupils of school #13 and in Kramatorsk he was noticed in “Fiesta” cafe. Geoffrey Pyatt, the USA Ambassador to Ukraine made a working trip to Mariupol. He met with Vadym Boychenko, Mayor of the city and heads of executive departments. Before meeting with the city authorities, Geoffrey Pyatt visited “Azovstal” plant which belongs to “Metinvest” group. The Ambassador also met Vyacheslav Abroskin, head of the National Police in the Donetsk region. On April 27, Privatbank resumed its work in frontline Avdiivka after a two-year break. Town residents were informed about that, as social networks report. 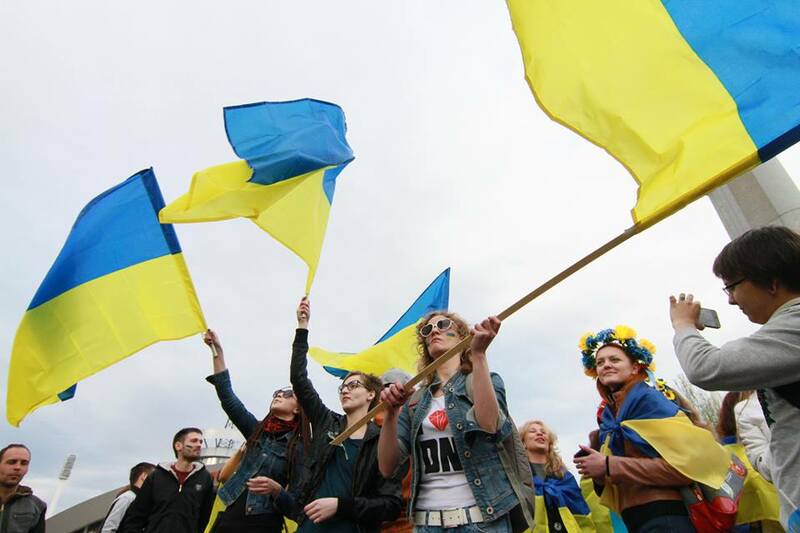 On April 28, 2014, the last rally “Donetsk is Ukraine’” was held in Donetsk. People met at the monument to Serhiy Bubka which is near “Olympiysky” sports complex. Then separatists attacked them with baseball bats and traumatic guns. 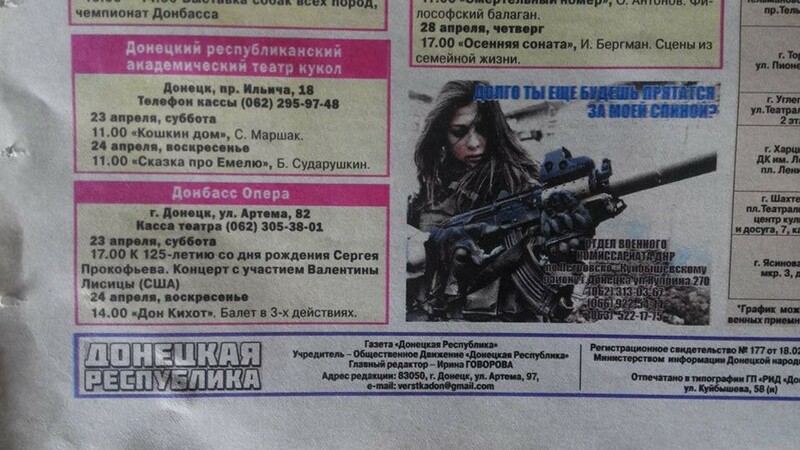 Separatists’ newspapers controlled by illegal “DPR” grouping publish announcements to recruit people to the so-called “army of the republic”. Head of illegal “DPR” grouping Aleksandr Zakharchenko plans to hold one more direct line, this time with Odessa residents, according to separatists’ site DAN. On April 30, Russia is planning to give “DPR” grouping 1.1 bln roubles. The allocation of money was lobbied by RF adviser Vladislav Surkov. He will bring the money to the occupied territory of the Donetsk region. 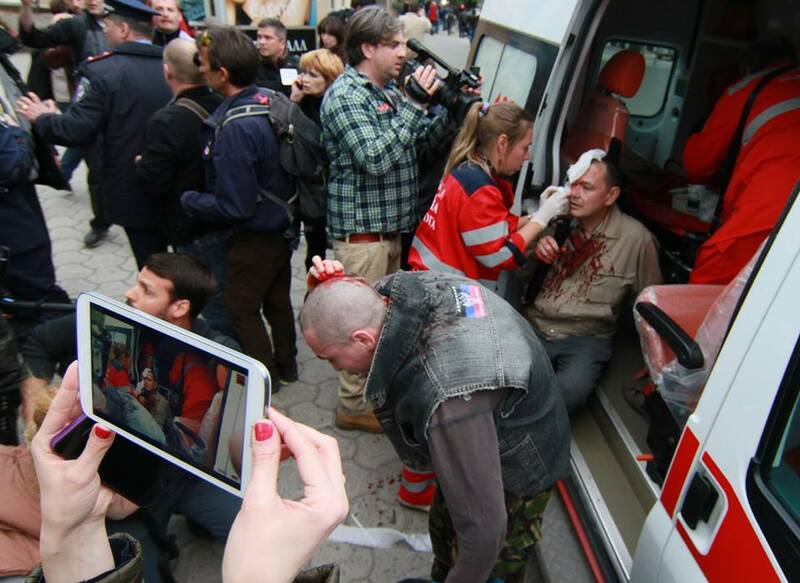 The information has been voiced by the Main Intelligence Department of the Ukrainian Ministry of Defense.